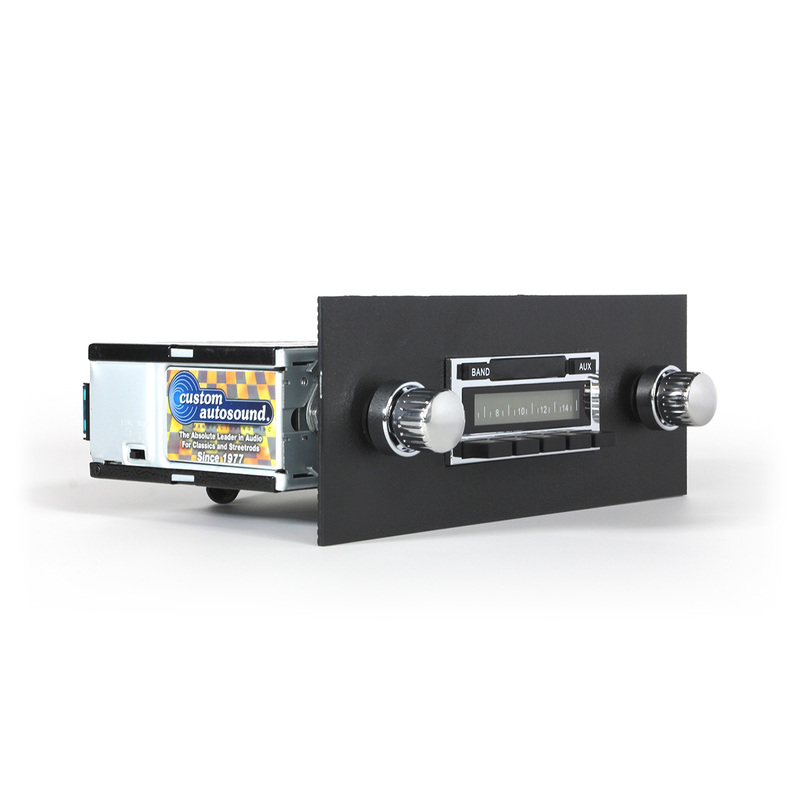 Custom Autosound's USA-230 is an excellent choice for classic car or truck enthusiasts looking for a more affordable radio without sacrificing quality electronics and a classic stereo look. It has been designed to fit in the stock dash without any modifications required. 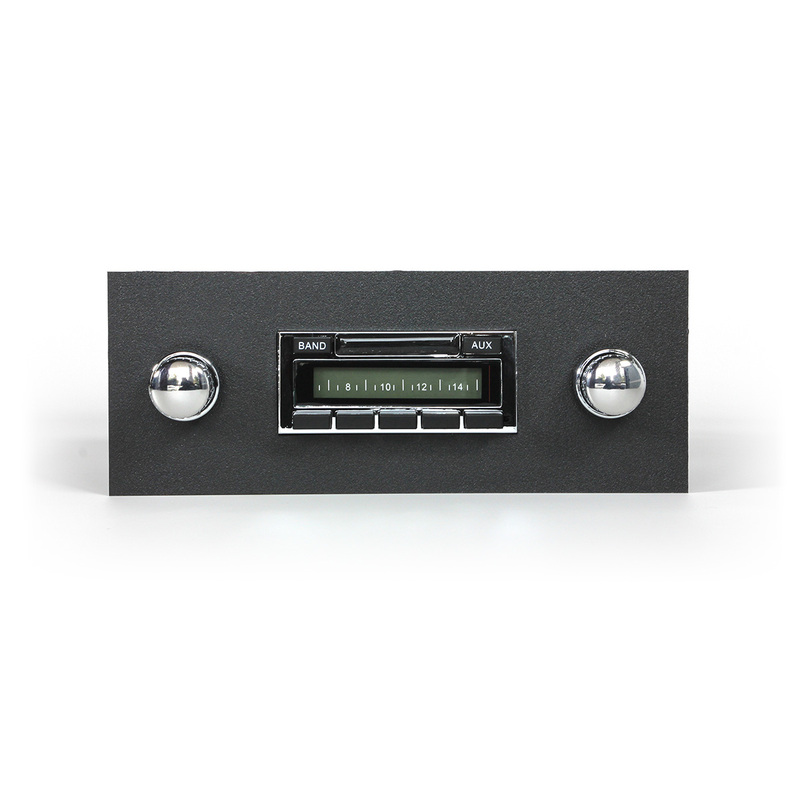 The USA-230 has the same appearance and all of the features offered in our USA-630 model simply without USB port, iPod dock and CD changer control. 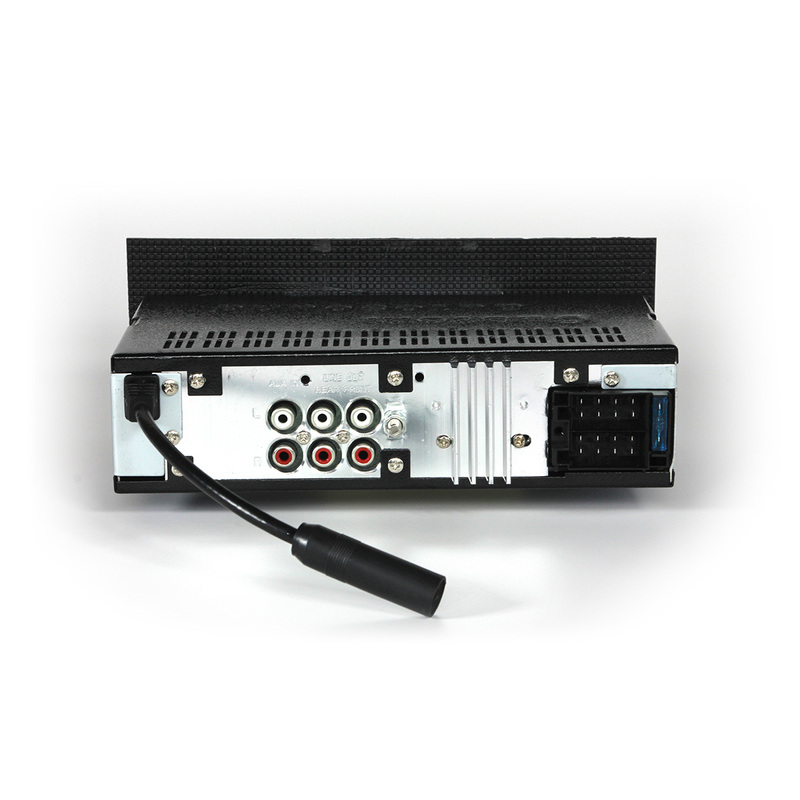 The USA-230 does provide an auxiliary input which can connect to iPods, iPhones, satellite radio tuners or any other device with a headphone jack. It also boasts 4 Channel RCA pre-outs and a digital display with electronic tuner, 16 station pre-sets and a 4-way fader.